Musicians and collectors debate with Getintothis’ Cath Holland the pros and cons of releases away from the conventional black vinyl format. Records coming out in a myriad of colours in addition to classic black is nothing new. Long since used for promotional purposes, older bootlegs and pirated records were frequently so and colour formed label identity. Yet it wasn’t until late 1970s record labels organised themselves proper and doubled revenue by selling fans the same titles they already had, but in a different hue. Risk-free albums by The Beatles, Pink Floyd, Led Zeppelin, Rush, Elton John, AC/DC, and the Eagles were re-pressed on various colours for a limited period, panic buying and exclusivity guaranteeing money in the bank. Fast forward to now, we all know the bumpy journey vinyl has had, yet the format’s boom – as it is- is a fertile ground for more variations. This year’s Record Store Day for example, taking place this Saturday, brings with it a good percentage of releases in alarming colours for no apparent reason. 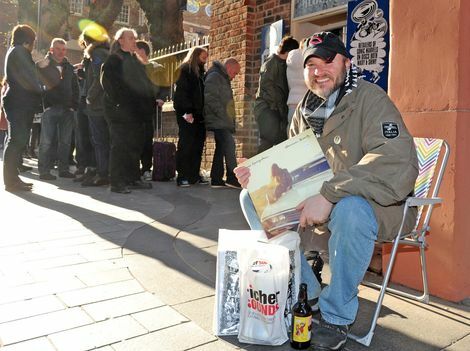 We have the 3 record set – one yellow, one white and another lime green – of unexpected RSD 2019 ambassadors The Mighty Boosh‘s radio series to look forward to on Saturday. With this in mind, it’s to be expected colour vinyl gets a mixed response. Some collectors like it, while it leaves others cold. Saint Etienne this year have a special 7″ RSD 2019 single featuring a previously unreleased recording of Saturday Boy from the 2017 Home Counties sessions plus You Don’t Own Me. It’s to be available, somewhat reassuringly, in classic black. 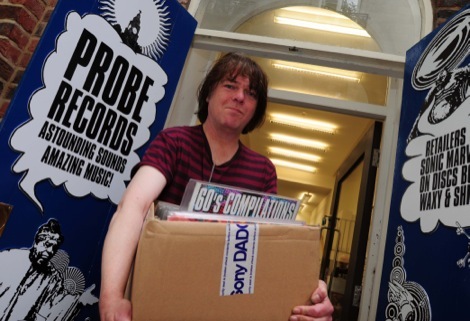 Bob Stanley of the band, is a record collector and author of pop bible Yeah Yeah Yeah The Story of Modern Pop. Does he think there’s a competitive ‘Top Trumps’ aspect to it all? Arguments trundle on (and on) in forums on the internet around quality of the listening experience of colour vinyl. But in most cases if a record is produced from virgin rather than recycled pvc pellets then the quality is no different. If we sail into the dark murky waters of glow-in-the-dark records however, flexi and picture discs and the like, the listening experience is, to put it mildly, variable. Releases of mixed colour, with splatter or swirl patterns, there’s minute ridges or spaces between colours causing disturbance. But who, pray, wants a record resembling pavement pizza? There are other issues on top for collectors and dealers alike. Coloured is challenging to grade and price, any faults less visible. DJs find records more difficult to cue up, it’s tough to make out where one song ends and another begins. And yet the embracing of coloured vinyl has an unexpected upside. 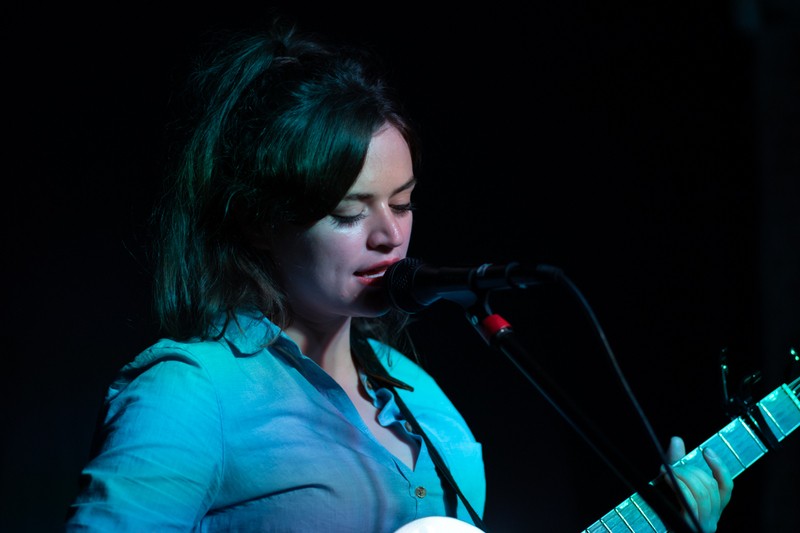 New, emerging and independent artists are finding the format sought by their growing audiences. Indeed the format itself is building those audiences, and solidifying the artist-fan relationship. Coloured vinyl spans the genres. The notorious Gerry Cinnamon put his new record out in a noisy shade of scarlet, for example. 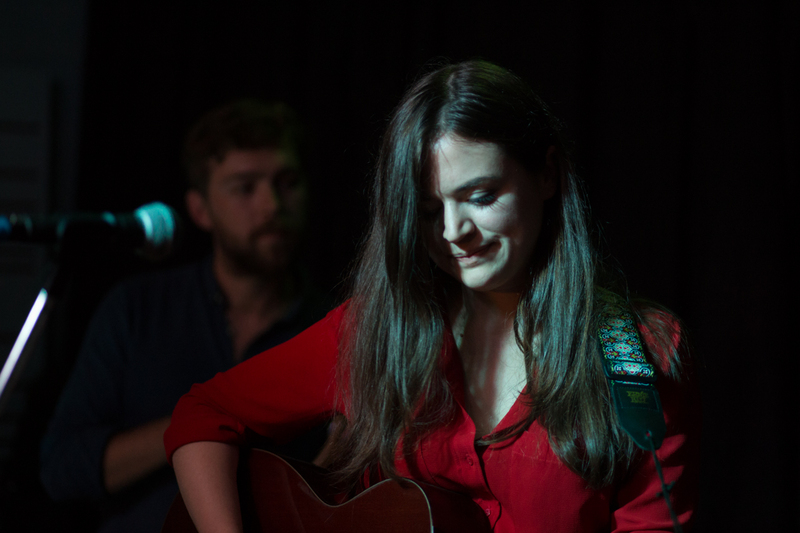 Fellow Scot Siobhan Wilson’s Scottish Album of the Year shortlisted debut There Are No Saints two years ago was universally well received, and justly included in the 2017 Best Of lists across the board. In May, the Edinburgh singer songwriter’s sophomore album The Departure has, she promises, ‘magically coloured‘ vinyl inside the limited edition with artwork from French Yann Orhan. The new release is on her own label Suffering Fools Records, meaning she as an artist controls every aspect of the record and its presentation. The Departed’s vinyl colour is called White Rabbit. It’s frosted – a little bit clear, but not totally see-through. ‘I really get a thrill from this format and I’m worried now that this is now me hooked- as it’s a bit more expensive to make them in this way, but I still charge the customer the same £15. I’m really concerned about value for money. 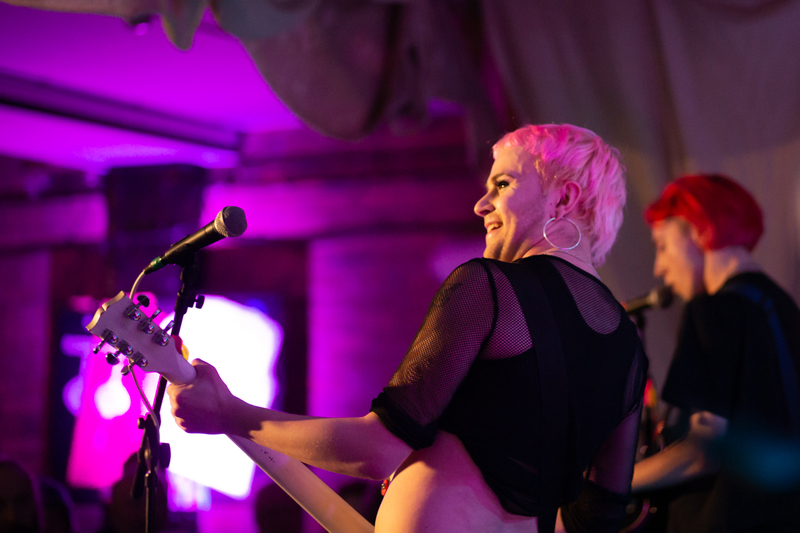 The kind of people buying my records are aware of the time and effort that goes into it so I’m interested in making it as beautiful as possible,’ Siobhan says. ‘It’s obvious that I’m not in this for the money and will not make a huge profit from the vinyl sale, but every little (really) helps, and you have to do your own thing as an artist and exist somehow within the structure of the market your art belongs to. This personal touch adds to the creation of a physical musical purchase being in many ways a piece of art in itself. The enjoyment of album artwork is part of the pleasures of record collecting; a carefully selected colour inside the sleeve can enhance visual and aural consumption of music. 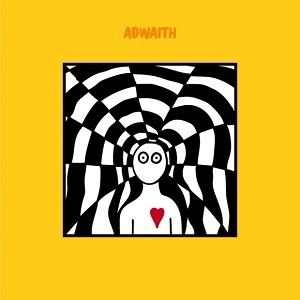 Welsh band Adwaith’s debut Melyn. was released last year on independent label Libertino. Melyn’s red disc corresponds with the bold, beating red heart on the front of the album, connecting the two. Gwen Anthony from the band designed the cover and found having that co-ordinated colour works creatively for them and was appreciated by their growing audience. ‘The yellow (a major theme of the album) represents youth and growing up. We always wanted to print on vinyl, and the coloured vinyl meant that it was more collectable,’ she says. The album is changing hands outside the UK for double its original price. Not bad for an album recorded in the Welsh language, a notorious hard sell away from Wales. 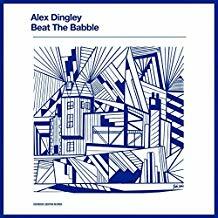 Libertino also released Alex Dingley‘s Beat The Babble in 2018 in a rather fetching blue. ‘These (releases) were relatively limited run therefore having them in colour vinyl made them even more special and collectible somehow. I’ve always liked colour vinyl especially if it goes with the art work an extension of it somehow,’says Gruff Owen from the label. ‘That’s what we did with the Adwaith release, using the same red that’s in the heart on the cover and with Alex the cover was blue therefore so was the vinyl. Queen Zee released eponymously titled debut in February on their own Sasstone label. ‘Our biggest seller has been the limited edition vinyl. People want to hold something and appreciate it, that will never go away. It’s more permanent than a stream. So the value applied to that, is what funds bands. CDs and tapes sell too, but not as much,’ vocalist Zee told Getintothis a few weeks ago. Zee‘s words back in February were prophetic in retrospect. The clear vinyl version of the album has long since sold out, and is now priced on a prominent record resale site for over three hundred pounds. A giddy, optimistic price, admittedly. But the broader point is still valid. And there’s a fun element to coloured vinyl goddamit. Records the colour of boiled sweets have that throwaway pop element that’s very engaging. The endless rainbow of colours can get a bit draining, however. A couple of years back one band pithily described their RSD release as ‘hepatitis yellow’. Reader, I only went and bought it. I describe it more as a warm custard shade. Speaking from personal experience it can be a task to get new music in classic black, it feels that shops prioritise the limited edition colour popular with customers. Holding back ordering from an indie label to dodge a limited edition egg shell blue with a silver label failed me just last month. I was delivered of it anyway. My God, it’s pretty. The silver shimmers as it goes around and around on the turntable. Like a beautiful twirling psych-pop unicorn. It makes one wonder though, if this means black vinyl editions of contemporary albums will be more sought after in future years. Because they’re as rare as hen’s teeth. ‘That’s a good point. I think all test pressings are black vinyl, so there will always be a handful. I can’t tell,‘ says Bob Stanley. ‘I don’t know anyone who prefers coloured vinyl over black vinyl, but that might just my demographic and collecting circles.